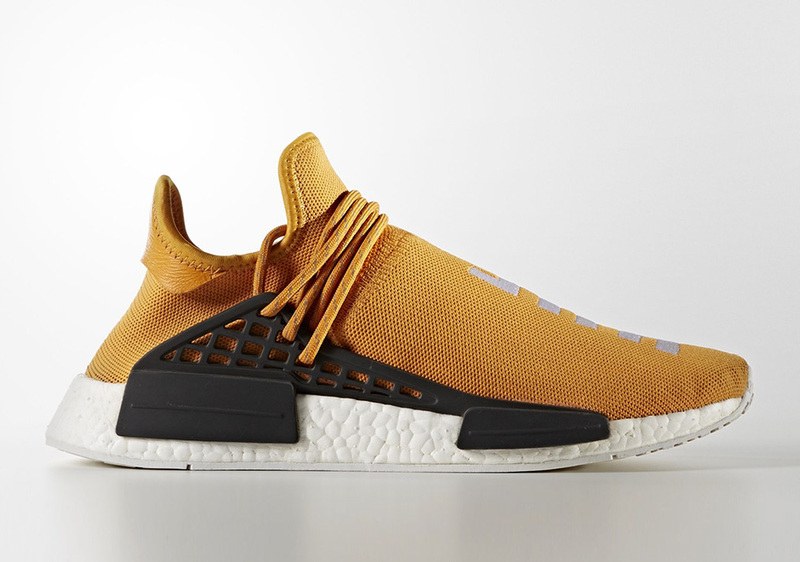 Missed out on the first couple of Pharrell’s adidas NMD “Human Race” colorways? 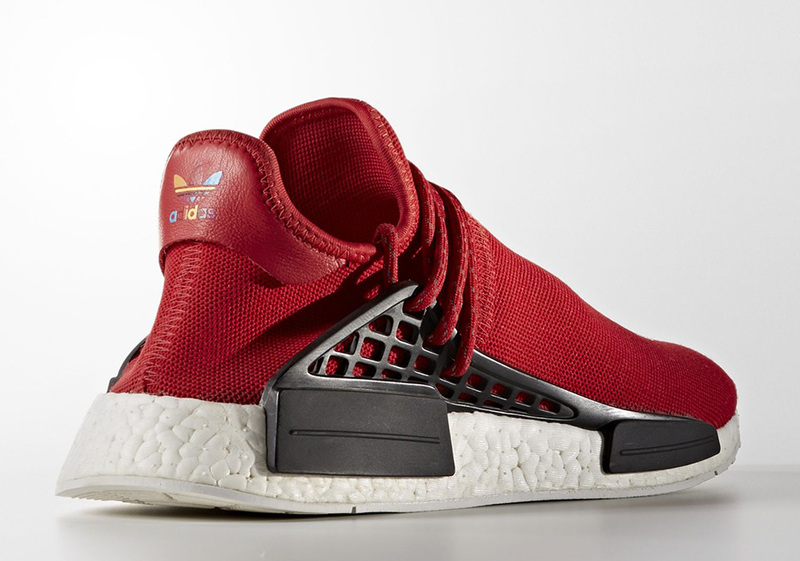 No need to worry, as five more looks are arriving at retailers on September 29th. 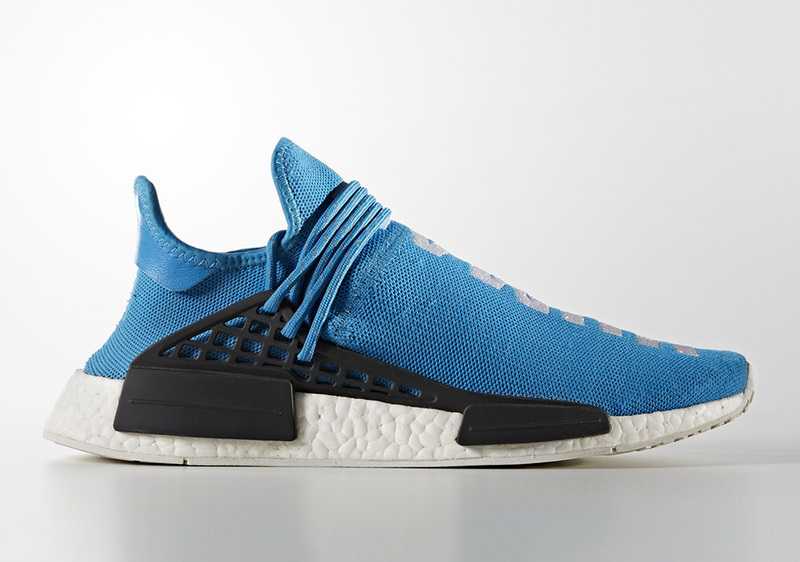 Pharrell previewed the Light Blue adidas NMD “Human Race” during Kanye’s Yeezy Season 4 event on Roosevelt Island recently, and we’ve seen a couple of these upcoming colorways previewed as samples not too far back. 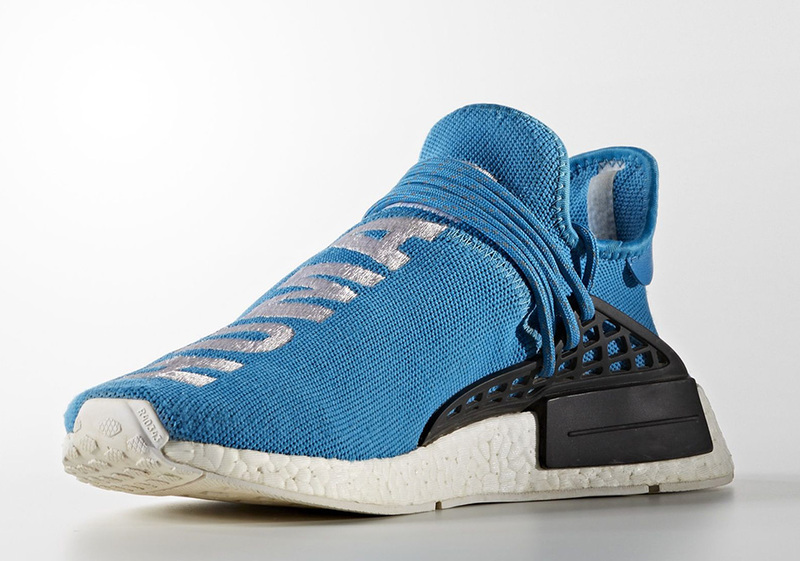 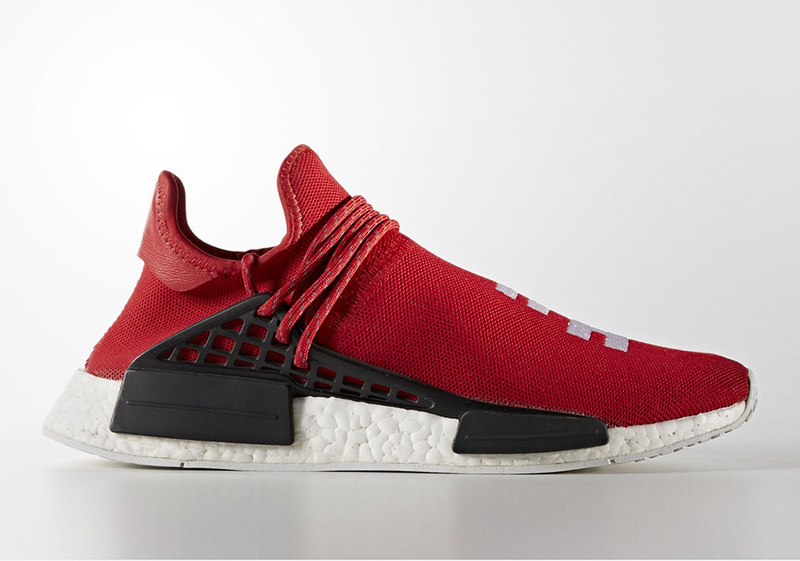 Today we get an official preview of all 5 colorways, each featuring different “Human Race” callouts. 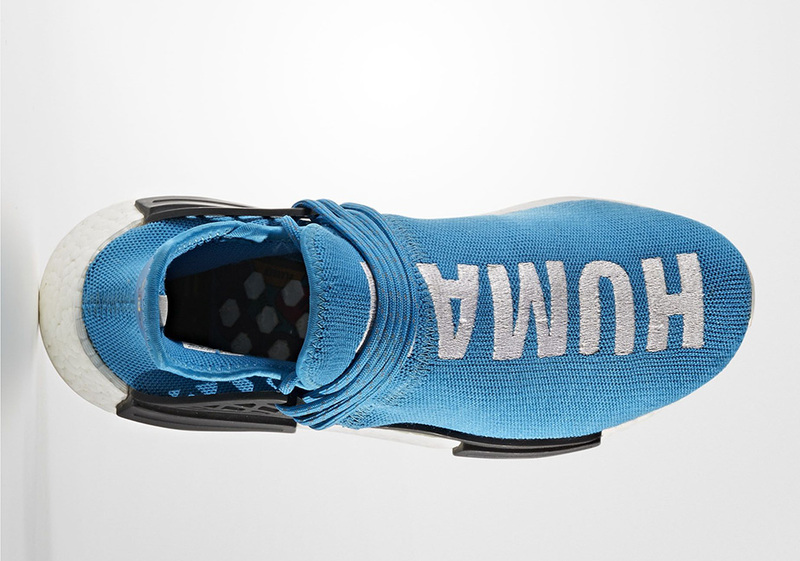 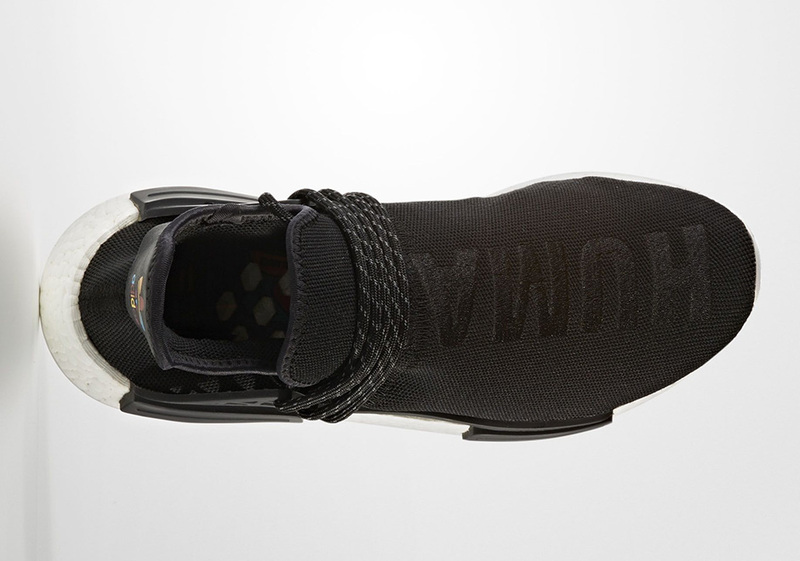 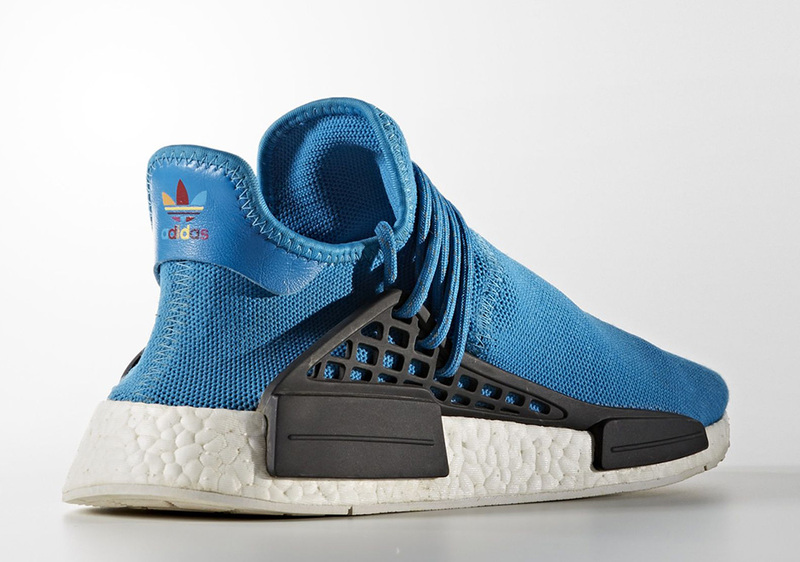 The Light Blue pair might be the most traditional of the batch, given the actual ‘Human Race’ text stitched in white while a rainbow trefoil branding hits the heel to contrast the black cage overlay. 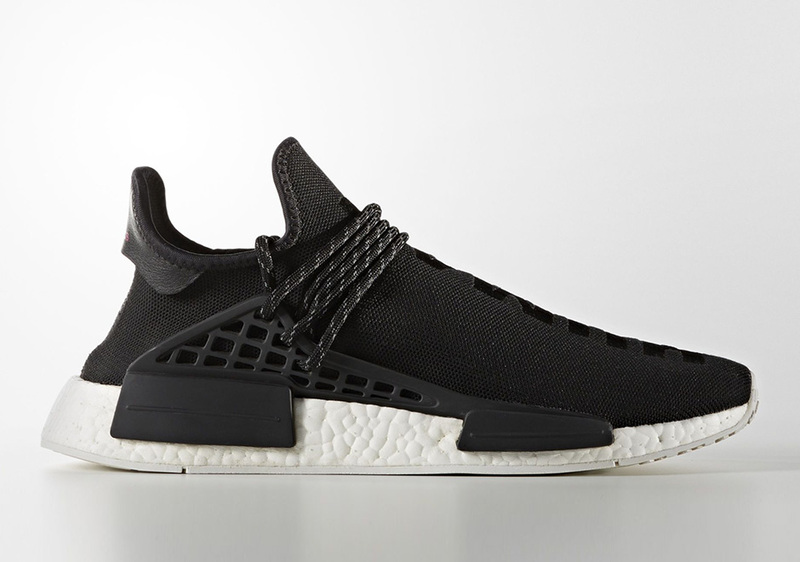 A matte black pair will also be available, with the adidas NMD Human Race callout camouflaged through matching black text. 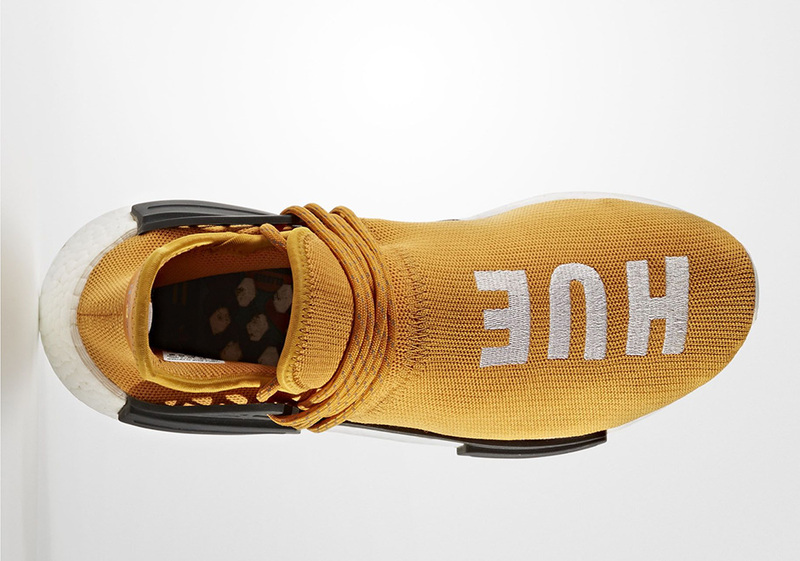 Another yellow pair will also be releasing, this time in a deeper shade of maize with white ‘Hue’ text. 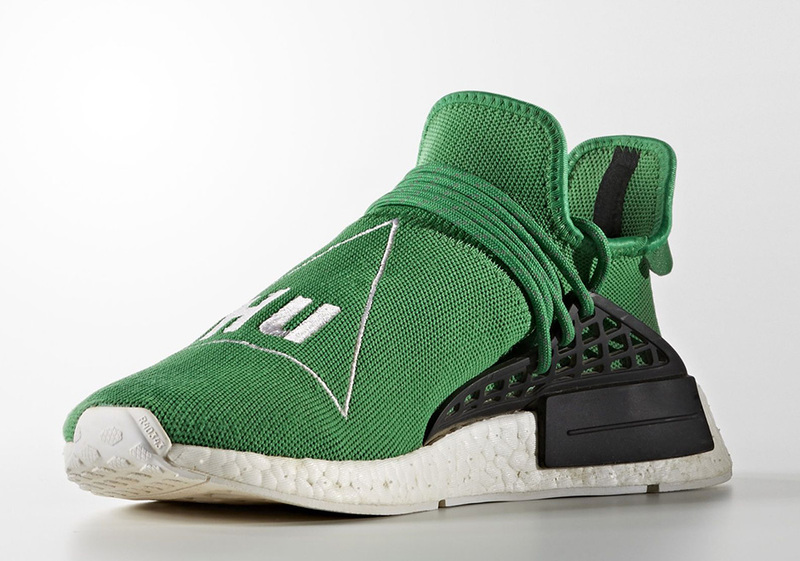 Perhaps the most experimental pair comes in the form of a kelly green adidas NMD Human Race colorway. 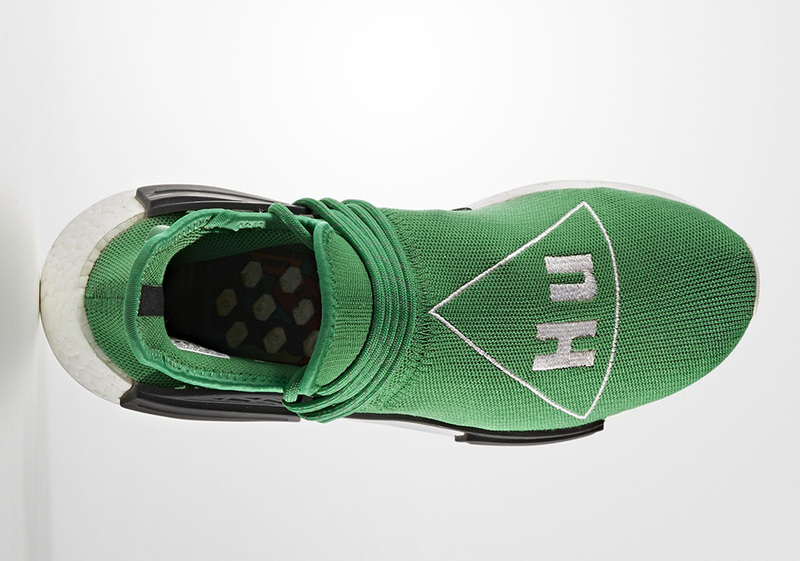 The elemental triangle looks like something from the periodic table with ‘Hu’ featured inside in white. 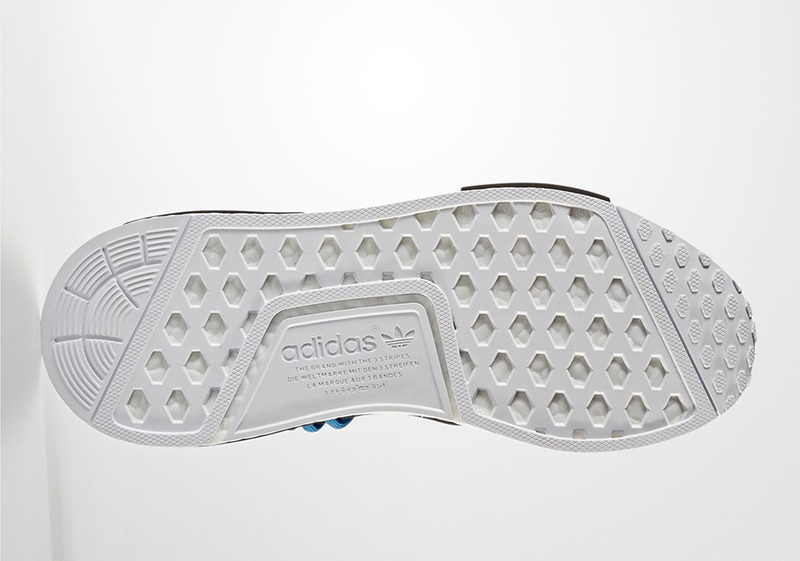 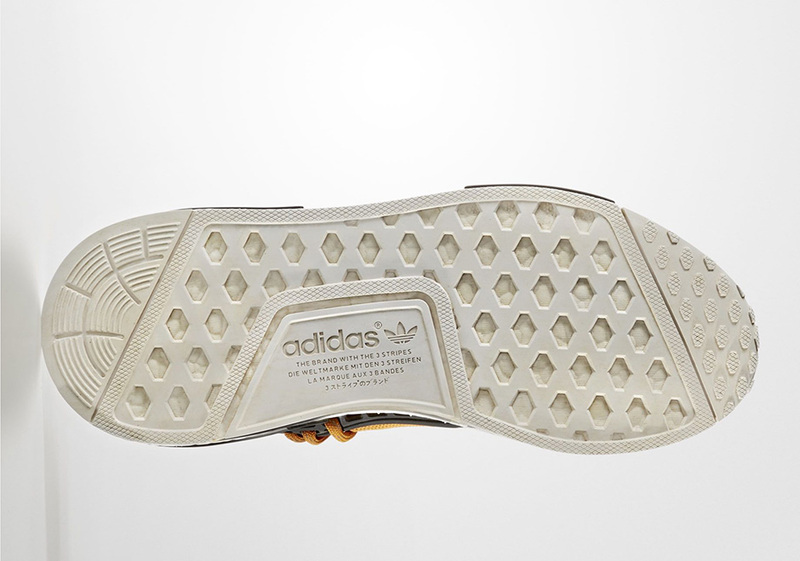 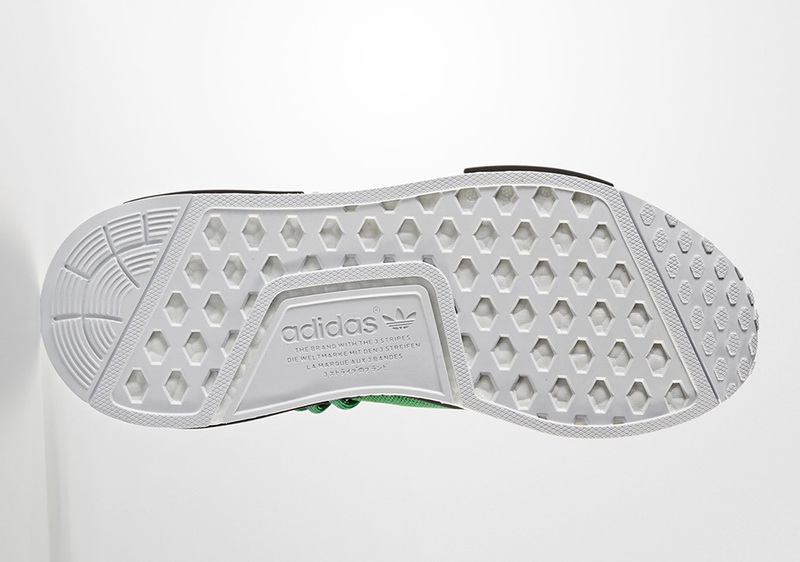 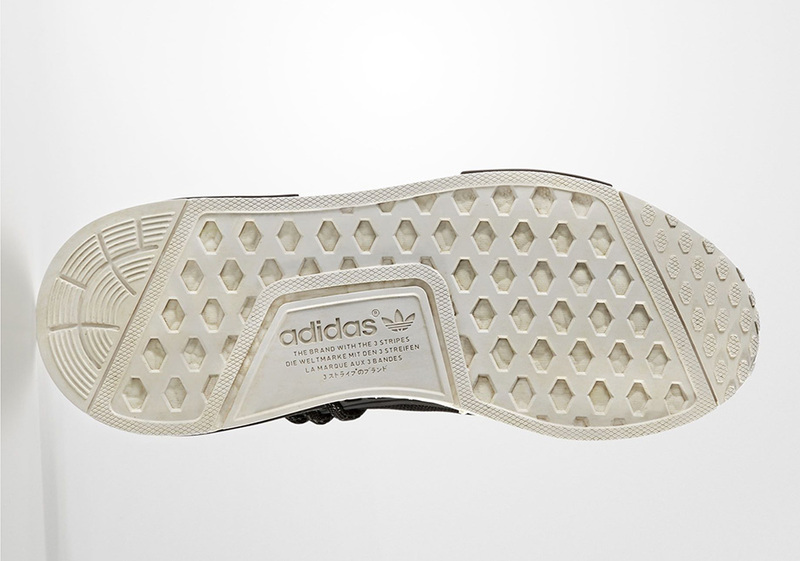 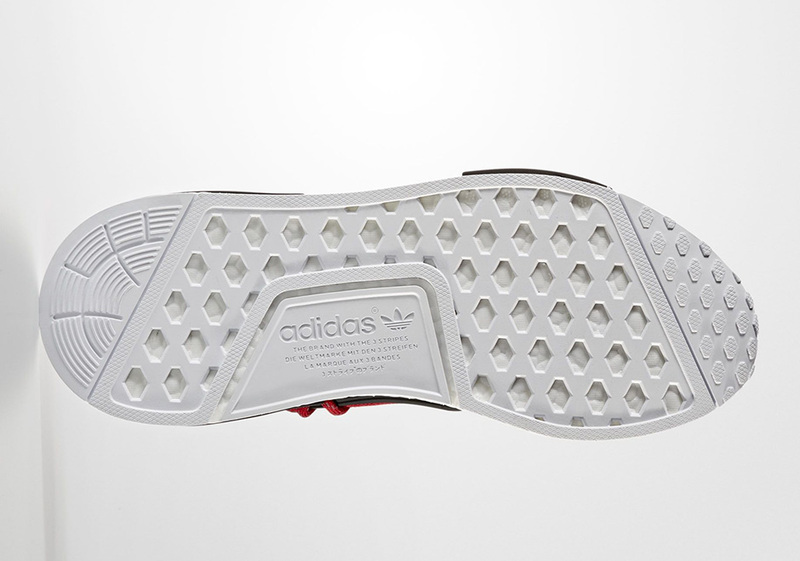 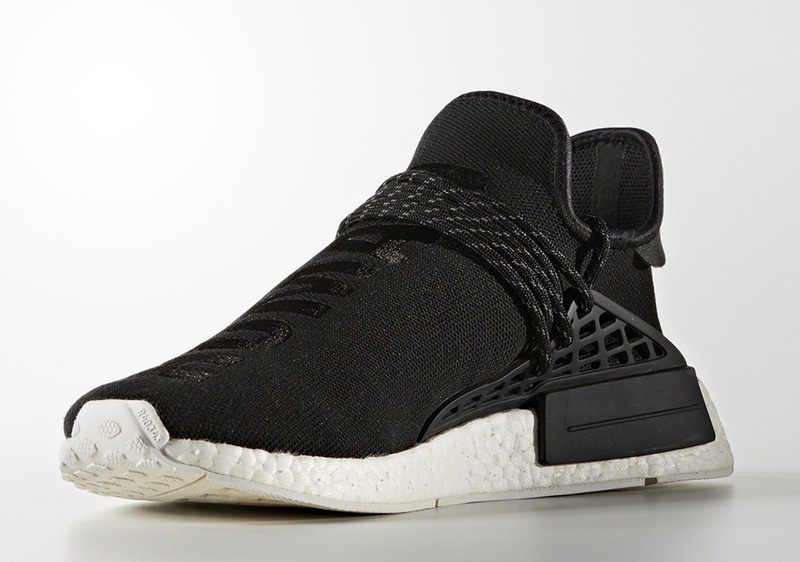 A black supportive cage matches the Boost midsole unit. 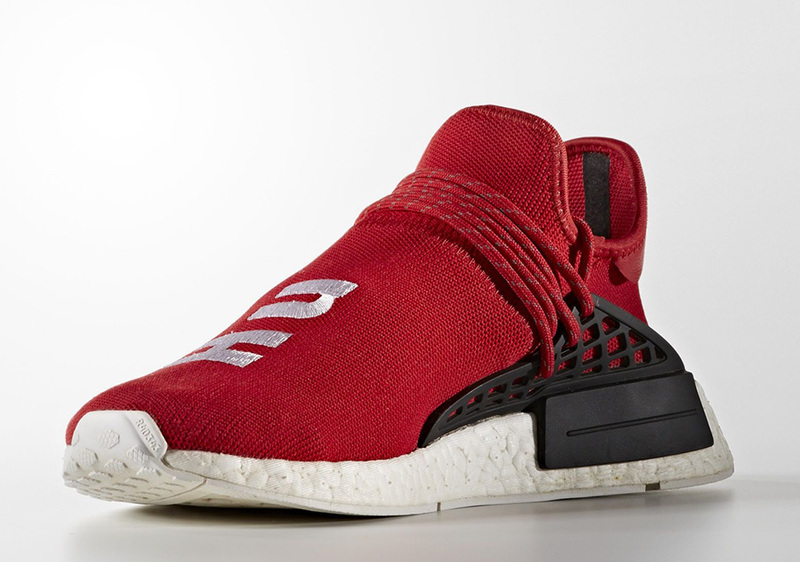 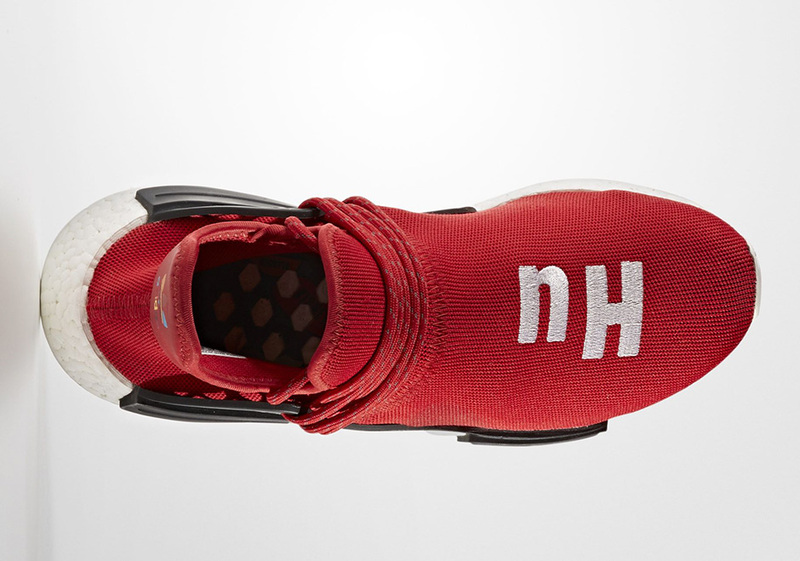 A University Red adidas NMD will also be available with a similar text callout, just without the matching triangle. 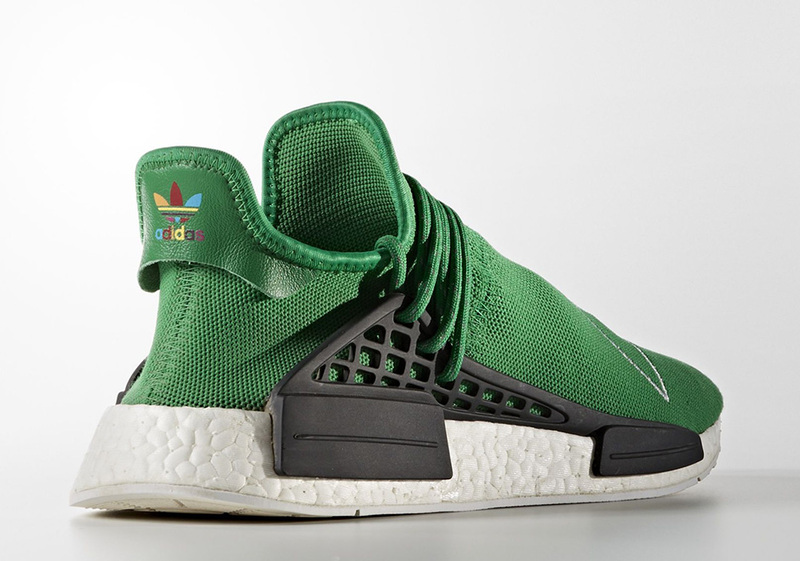 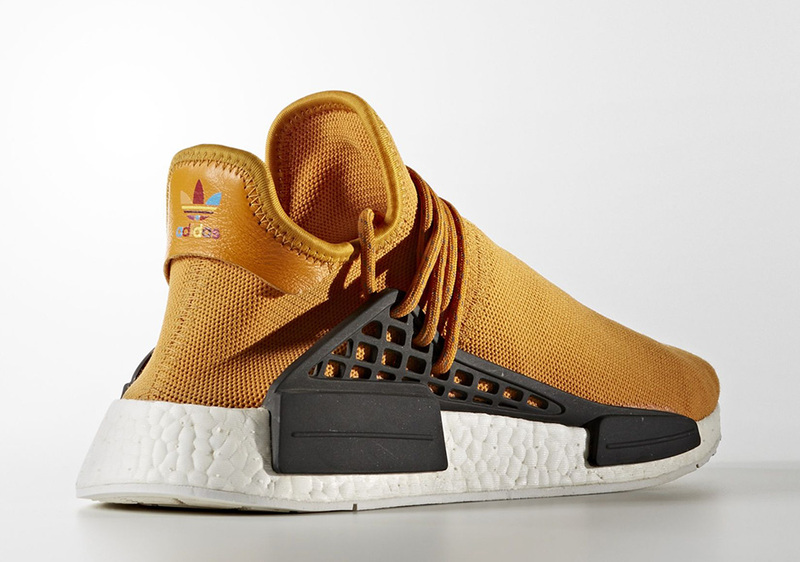 Which Pharrell-helmed adidas NMD is your favorite? 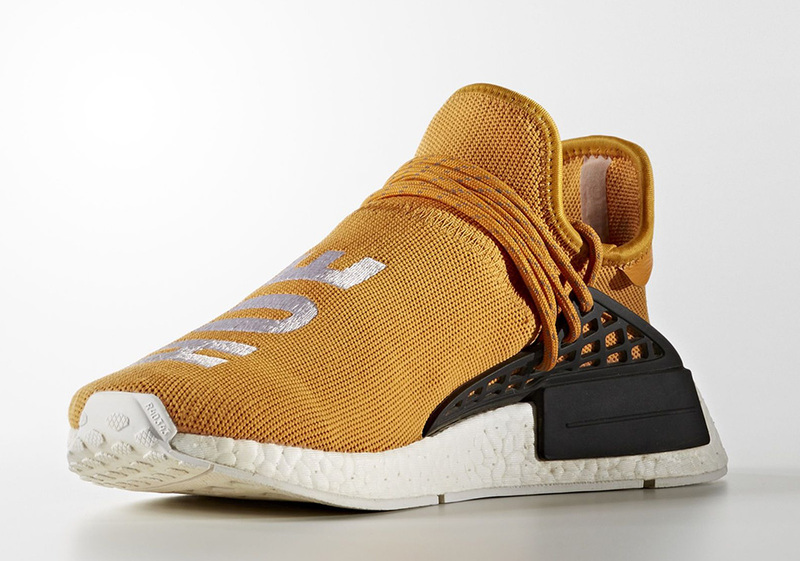 Be sure to check out more detailed shots below and stay tuned for more detailed release information coming in the near future. 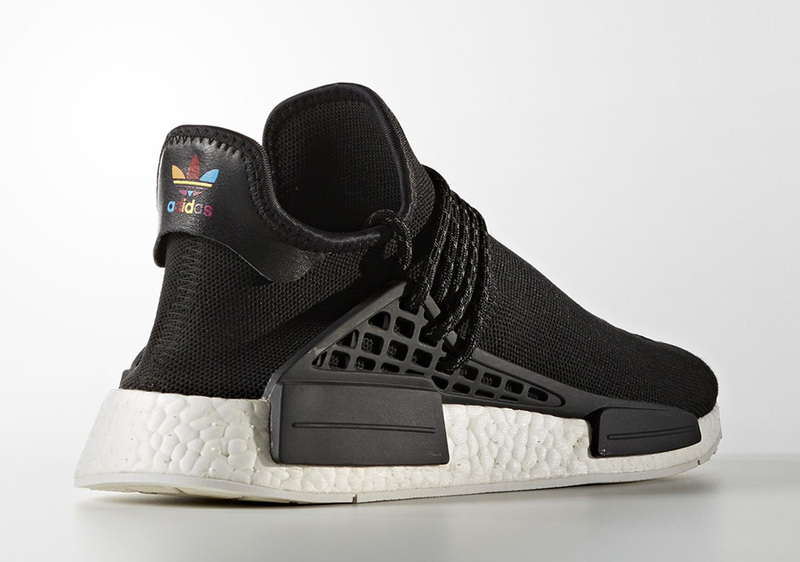 You can expect some sort of adidas Confirmed App rollout, but we’ll keep you updated right here on Sneaker News.